Place cur­sor over each pic­ture to read its cap­tion. Kayla Willis of Atlanta was accept­ed by 30 col­leges and uni­ver­si­ties, and has cho­sen Fisk University to attend in fall 2019. 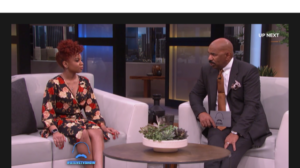 Kayla Willis of Atlanta is inter­viewed by Steve Harvey on his tele­vi­sion show. The Mayor of Atlanta, Hon. Keisha Lance Bottoms, greets Kayla Willis via video on the Steve Harvey Show. Kayla Willis has goals to become Mayor of Atlanta, a U.S. Senator and President of the United States. 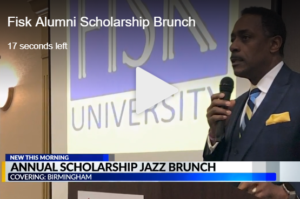 BIRMINGHAM, Ala. (WIAT) — The Birmingham Fisk Alumni Association host­ed its annu­al schol­ar­ship jazz brunch to raise mon­ey to pro­vide finan­cial assis­tance to local stu­dents. 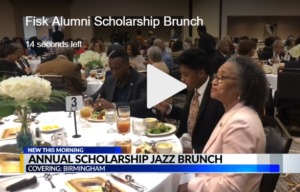 The event was at the Birmingham Marriott Hotel on Grandview Parkway on Saturday. 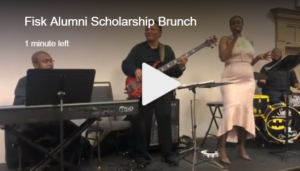 Among those attend­ing the packed event were 11 stu­dents who have already received offers to attend Fisk University in Nashville. One of them was a stu­dent by the name of Benjamin Holmes. He is a Woodlawn senior who has been accept­ed into 31 col­leges and earned more than one mil­lion dol­lars in schol­ar­ships. Holmes says Fisk is at the top of his list.